The popular investment conference takes place Wednesday through Friday in Chicago and should draw at least 1,000 advisors. 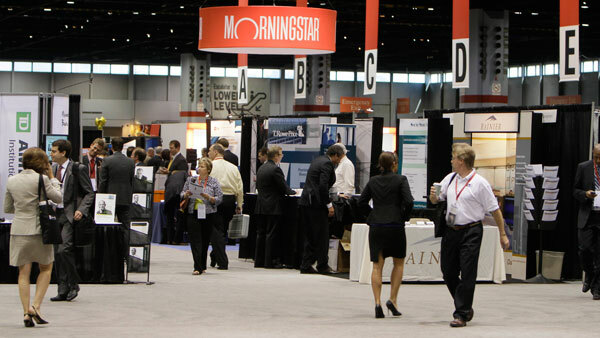 Morningstar (MORN) kicks off its 27th annual investment conference for financial advisors on Wednesday with a talk by Jeremy Grantham, co-founder and chief investment strategist of GMO. The three-day event is set to take place at McCormick Place Convention Center in Chicago. Other keynote speakers are David Kelly, chief global strategist of J.P. Morgan Funds; Sallie Krawcheck, chair of Ellevate Network; Douglas Hodge, CEO of PIMCO; and Daniel Ivascyn, group chief investment officer of PIMCO. Experts from Vanguard, BlackRock, Oakmark, Janus Capital and more than a dozen additional fund families will make presentations at the popular conference as well. “Each year, we bring prominent voices from the investment industry together for three days of dialogue about the topics most relevant to advisors and their clients,” said Jon Hale, director of North American manager research for Morningstar, in a statement. Panelists Joe Davis of Vanguard, Rob Lovelace of American Funds and Diana Strandberg of Dodge and Cox (and part of the winning team of Morningstar’s 2014 U.S. International-Stock Fund Manager of the Year award), for instance, will share their research and insights about what it takes to be a successful active manager. Other panel discussions that are expected to be well attended include one with Bill Nygren of Oakmark Funds and Steven Romick of FPA Funds. The two fund professionals will debate the future of active management and offer their views on the market, portfolio positions and their recent investments. Pradipta Chakrabortty of Harding Loevner, Laura Geritz of Wasatch Funds and Taizo Ishida of Matthews Asia will discuss investment opportunities and how they manage risk in frontier markets, while David Blanchett of Morningstar, Michael Finke of Texas Tech University and Steve Wendel of HelloWallet will share their views on the role of behavioral forces in retirement planning. Other themes include the trends in fixed-income investment, the evolving exchange-traded fund industry and the environmental, social and governance investing landscape. Attendees can also participate in several preconference meetings, as well as a large number of breakout sessions. Past conferences have attracted more than 1,000 advisors and nearly as many non-advisor industry participants.